The Arts & report and effort is the culmination of EVOKE, the community engagement and aspirational phase of RAC’s current cultural planning process. 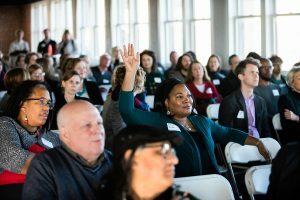 The title “Arts &” is intended to point to the need for the creative community in St. Louis to become more connected to the needs of the community, more civic-minded and more collaborative. The process began in 2015 with open dialogues but really took off in 2017 with the beginning of the EVOKE study. In September of 2018, RAC revealed six priorities that those who participated in the extensive surveys and town halls identified as avenues for the arts community to be agents of change. Now, working groups made up of arts and cultural professionals will meet to discuss those priorities. They began in January and will continue through April. Local non-profit consulting firm The Rome Group will facilitate those working groups. (We list the members of each working group below.) Their findings and suggestions will be shared at a public gathering in April that will culminate the planning phase and move RAC and the arts community to action. 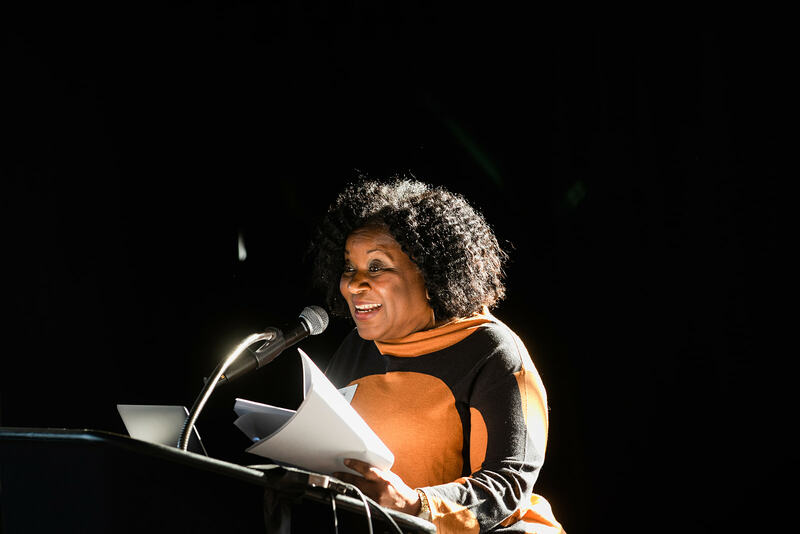 RAC Executive Director Felicia Shaw spoke enthusiastically after the event about the contribution to the process that the combination of local firm The Rome Group with arts industry expert Michael Kaiser will bring to the project. RAC repeated that though everyone cannot serve on the working groups, they are committed to transparency and feedback through their vision.racstl.org site and social media. If you would like to be part of the continued planning process they hope to provide opportunities for the community to give feedback to the working groups discussions on the vision site. Look for updates after the working groups meet in February from the 12th -14th, in March from the 12th – 14th, in April from the 9th – 11th and the Artists’ Open House. RAC expects the project (which will include expenses for strategic planning, community meetings, and constituent engagement consultants) to cost $175,000. They secured a grant of $150,000 from a private donor and are contributing the remaining funds. Exactly what the action items that come from the working groups will be is unclear, though RAC says it is possible we will see changes to their funding programs and initiatives in 2021. Many arts professionals and community members attended the event. Photo courtesy of Sara Wilson. 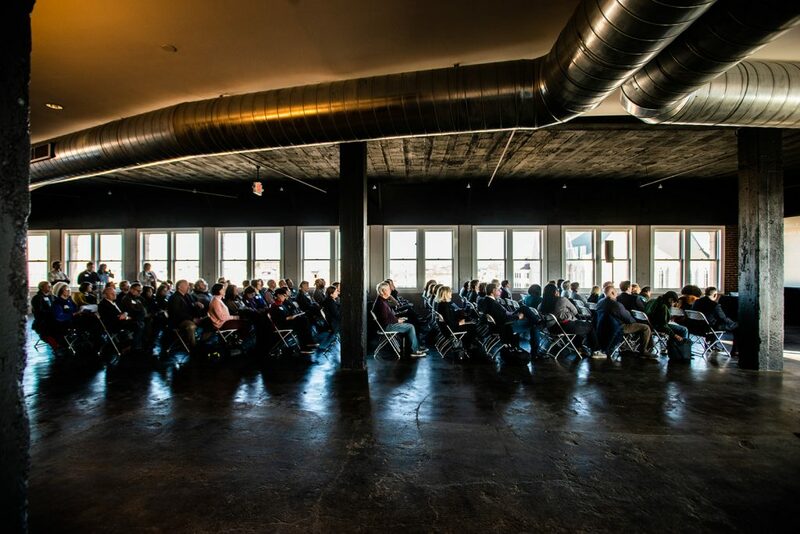 A large part of the working groups’ discussions will be informed by a recent study of the St. Louis arts ecology by the DeVos Institute of Arts Management at the University of Maryland. They were commissioned by Centene Corporation to provide guidance about the needs of the arts community in our region. Michael Kaiser, the chairman of the DeVos Institute presented their findings at Friday’s event. They compared the data from in-depth surveys and interviews with 60 organizations from each cohort to data from arts organizations in six comparable cities. The DeVos report found that we have a remarkably large, diverse and productive arts sector that includes a large number of organizations, but that we are missing many mid-sized organizations. Most organizations in our region are either very large or small in size. “I want to make sure the smaller organizations have room to grow,” said Kaiser. He finds this concerning, but not nearly concerning as the finding that while almost half the citizens of St. Louis are African-American, there no organizations of color with budgets exceeding $1 million. None. “That means that a lot of people aren’t having their cultural stories told and heard. We can do better than that,” said Shaw. He’s also concerned about the extent that arts organizations rely on private donations to make up larger and larger swaths of their budget. While we have some particularly generous donors in the area as compared to other cities, we also have a dearth of mid-sized donors and fewer donors overall in St. Louis as compared to other cities. Relatedly, it’s increasingly hard for newer organizations to tap into this smaller pool of major donors. Ideally, Kaiser says, a group of funders could work together to address these major issues. Increased collaboration, he says, will be vital to safeguarding and improving our creative community for future generations. One way he’d like to see that happen is through better engaging organizations boards of directors in fundraising. Board engagement is an area Kaiser sees St. Louis severely lacking. However, Kaiser says he’s optimistic about us improving the concerns he raises – in part because of our funders’ unique qualities. Some ideas Kaiser has already put forward in addition to encouraging collaboration and a more actively engaged board, is for organizations to do more long-term artistic planning. If organizations began planning big projects and performances a year or more out, Kaiser said it would give them time to better raise large gifts, attract interest from major press organizations and plan on a larger scale. He also believes it could assist with more diverse marketing campaigns, than simply resorting to the most common method in our area – social media. Lastly, he wants to see better coordinated and increased arts education. Typically, people’s engagement with the arts starts in childhood but falls away in people’s twenties, thirties and forties to the budget and time demands of career and family life. Generally, people return to the arts as their children grow, but Kaiser is worried we may not be fostering those good memories of the arts in today’s children. “If we’re not educating our kids well, I’m not convinced they will come back in their 50s,” Kaiser said. Overall, the representatives of RAC, The Rome Group and Kaiser who spoke at the event came back to a central theme. Collaboration. RAC Executive Director Felicia Shaw speaks at Friday’s RAC event. Photo courtesy of Sara Wilson. Karin Hagamann, Grand Center, Inc.
A constituent asks a question at Friday’s RAC event. Photo courtesy of Sara Wilson.